Ryan keeps bees in urban and rural apiaries in Dallas, Somervell, Kaufman, Rockwall, and Llano counties. He owns and operates “Honey Bee Relocation Services” in Dallas, specializing in live honey bee and bumble bee relocation. In addition to his role at MBA, Ryan is on the board of Trinity Valley Beekeepers Association, has reached Master level in the Texas Master Beekeeper Program, and completed Texas Master Naturalist training classes in 2018. He is a frequent presenter at beekeeping events around the state, and a persistent educator on bees and beekeeping in the DFW area. Richard Threlkeld has been a beekeeper for 5 years and an officer in Metrobeekeepers for 4 years, He is a Texas Master Beekeeper - Advanced with an average of 8 hives. 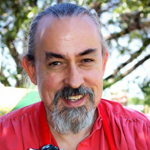 He earns his living as a software developer, is a retired CPA, is a retired EMT, does some catering and teaches cooking, and is active in the Society for Creative Anachronism which recreates the middle ages. Education includes a BA in Computer Sciences (UT Austin) and a Master of Professional Accounting (UT Arlington). 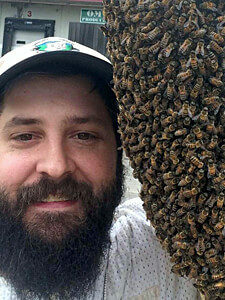 He is a member of the Texas Beekeepers Association and the American Federation of Beekeepers. Like most MBA officers, he gives talks on bees and beekeeping, mentors new beekeepers, captures swarms, and relocates wild hives. Christianne is a proud Fort Worth native. She lives with her husband and two children near Eagle Mountain Lake, and they own land north of Decatur in Sunset, Texas, which is where they keep bees. Christianne is in her second full year of beekeeping and loves the biology of the bees as well as the opportunities that beekeeping creates for family learning and activities. Christianne has a Master's of Public Administration from the University of North Texas and serves as the Fiscal Administrator for the Fort Worth Police Department. Sandra Bowen lives in Colleyville, Texas, and is in entering into her third season as a beekeeper. She and her husband Brad have four children and five grandchildren. Sandra is a former junior high and high school educator having taught in the public school system for seventeen years and in the private education setting for nine years. She enjoys beekeeping, gardening, reading, and traveling. Currently, Sandra has hives in Colleyville, Southlake, and Alvord, Texas. Anne Ingle lives in Arlington, Texas, with her husband Don and their three corgis. Their two children are grown. Their eldest, a daughter, is finishing her final year of graduate school at Penn State. The youngest, a son, is in the US Navy and stationed in Hawaii. Anne graduated from the University of Arkansas for Medical Sciences College of Nursing with a BS in Nursing. She is in her third year of beekeeping, and occupies the role of treasurer for Metro Beekeepers Association of Fort Worth. Anne maintains her beehives on their rural property in Erath county, where they raise Belted Galloway cattle. Stan Key is a native Texan and has been a beekeeper since 1977. A life-long educator, he was a history and math teacher, and Principal and Head of School of schools in the Dallas-Fort Worth area, as well as in Brazil, Bolivia, Spain and Nicaragua where he served in American/International schools. 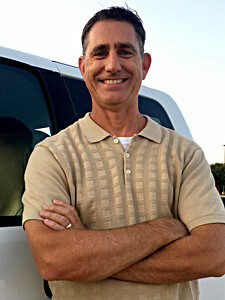 Today Mr. Key teaches and mentors adults and children alike in beekeeping and other bee-related activities in Texas. In addition managing his own bees, Stan owns a beekeeping supply company selling equipment, supplies, and honey in the Dallas/Fort Worth area. Mr. Key is a frequent speaker to Bee Associations in Texas, has written several articles, and speaks at schools and to other community groups each year. Besides beekeeping he is a doting grandfather to 3 granddaughters that live in Georgia. Robert Morrow is the owner of Tomorrows Designs, a full-service creative agency. He was introduced to bee keeping after his daughter, Amelia, won the MBA Hill/Stokes Memorial Youth Scholarship in 2017. That same year, he was awarded the Rookie Beekeeper of the Year. Larry is a long time Arlington resident with his wife Pat who are blessed with two children and two grandchildren. Larry is a former Safety Engineer Consultant in the construction field and also spent time as an educator at both the Junior High and High School levels. Larry became interested in becoming a beekeeper for sometime and recently acquired hives of his own which are located in both Arlington and Mingus Texas.